The Division of Law Enforcement Services is headed by the Administrator. The Administrator is an unclassified position that is appointed by and serves at the pleasure of the Attorney General. 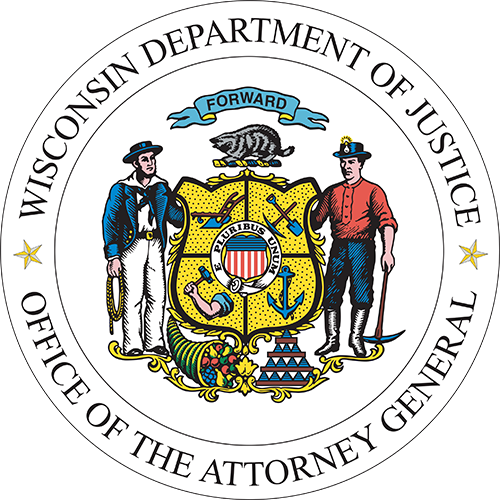 The Administrator works closely with the Attorney General on priority issues for the DOJ, as well as with local, county, state and federal law enforcement leaders from across Wisconsin and the nation to implement programs and policies of statewide significance or importance. The primary administrative oversight of the division comes under the Deputy Administrator. The Deputy Administrator is the second in command of the Division and provides high-level oversight to the division’s bureaus, directors, personnel and budget. The Division is organized into four Bureaus: the Crime Information Bureau; the Crime Laboratory Bureau with facilities in Madison, Milwaukee, and Wausau; the Bureau of Justice Information and Analysis, and the Training and Standards Bureau. The Crime Information Bureau is responsible for managing four state-wide programs: the Transaction Information for the Management of Enforcement (TIME) System; state criminal history repository, Handgun Hotline and concealed carry licenses / certifications. The Crime Laboratory Bureau has laboratories in three areas of the state. The crime laboratories in Madison and Milwaukee are full service labs providing analyses in Controlled Substance, Toxicology, DNA/Serology, Firearms/Toolmarks, Identification, and Forensic Imaging. In addition, the Madison lab houses the State DNA Databank, while the Milwaukee lab provides analyses in Trace Chemistry. The Wausau Laboratory offers Controlled Substance, Identification, and Forensic Imaging analysis. All three WI crime lab locations: Madison, Milwaukee and Wausau, provide crime scene field response for law enforcement. The Bureau of Justice Information and Analysis (BJIA) is responsible for conducting research, analysis, and program evaluation to support evidence-based decision making and policy development. The BJIA also serves as the Statistical Analysis Center (SAC) for the State of Wisconsin and oversees the Wisconsin Uniform Crime Reporting (UCR) program. 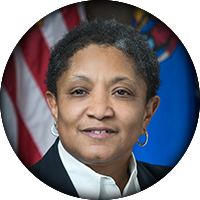 Attorney General Joshua L Kaul appointed Tina R Virgil to serve as the Administrator for the Division of Law Enforcement Services (DLES) on January 6, 2019. Tina has been with the Wisconsin Department of Justice for 26 years serving in a variety of roles. Most recently, she has been the Director of the Special Investigations Bureau, overseeing critical-incident response for officer-involved shootings in the Division of Criminal Investigations. She also held the position of the State Fire Marshal. Tina has been active in a variety of statewide and national initiatives including serving as the Chapter President for the National Organization of Black Law Enforcement Executives, and a member of the State Council on Alcohol and Other Drugs Abuse, the National Court Appointed Special Advocates Association, and the National Association of Women in Law Enforcement Executives. Tina received her Bachelor of Science in criminal justice and psychology from Edgewood College and also graduated from Northwestern University School of Police Staff and Command and is a graduate of the Wisconsin Command College. Michael J Steffes was appointed to serve as the Deputy Administrator for the Division of Law Enforcement Services (DLES) on October 31, 2016. 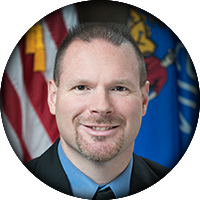 Prior to joining DOJ, Mike served as the Chief of Police in the City of Rhinelander for nearly 10 years. Prior to his time as chief, Mike worked for the City of Beaver Dam as a police officer, where he started their canine program and was the city's first canine handler. Mike rose to the rank of Lieutenant in Beaver Dam. Mike is a graduate of Northwestern University's School of Police Staff and Command, session #310, the FBI National Executive Institute, session #40, and has completed the FBI Law Enforcement Executive Development course. He holds a Masters Degree in Organizational Leadership and Quality from Marian University, a bachelor's degree in Management of Criminal Justice from Concordia University, and an associate degree in Criminal Justice from Fox Valley Technical College. Mike is an instructor in several disciplines and is a national instructor for the International Association of Chiefs of Police in their Leadership in Police Organizations.